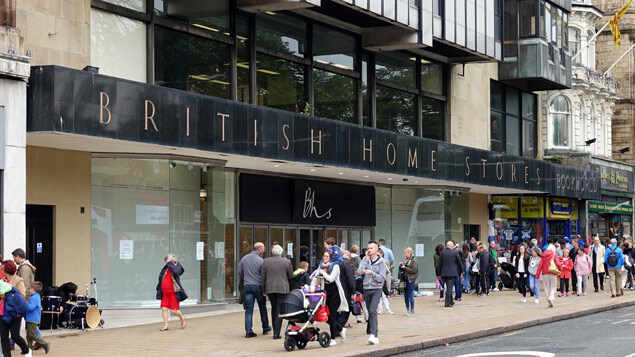 Following an inquiry into the collapse of BHS, the Work and Pensions Committee has recommended significant punitive fines and other measures to avoid similar defined-benefit pension fund disasters. The Committee recommended that fines be up to three times the amount of the employer’s contribution to the pension deficit. In the case of BHS’s £350 million contribution, this would be about £1 billion. The anti-avoidance measure is meant to encourage good practice and incentivise employers to “sort” their pension schemes once problems come to light, rather than risk enforcement action and draw out negotiations. Frank Field MP, chair of the Committee said: “It is difficult to imagine the Pensions Regulator would still be having to negotiate with Sir Philip Green if he had been facing a bill of £1 billion, rather than £350 million. He would have sorted the pension scheme long ago. “The measures we set out in this report are intended to reduce the chance of another scheme going down the BHS route. We hope and expect that we will never again see a company like BHS be able to come up with a 23-year recovery plan for its pension fund, and certainly not that it would take the Regulator two years to really begin to do anything about it. Other measures proposed in the report published today include a requirement that certain company mergers involving pension deficits obtain mandatory regulatory clearance, more flexibility for the Regulator to intervene in troubled schemes, and simplification of the negotiations process for restructuring stressed schemes. The report also recommends preventative measures, such as powers for trustees to obtain timely information from employers, consolidation of small defined-benefit pension schemes, and allowing individuals with small entitlements to withdraw their pension in a lump sum. Qian Mou, employment law editor at XpertHR said: “The Committee’s recommendations range from good practice measures for defined-benefit pensions administration, increased regulatory powers for intervention in troubled schemes, and stronger response mechanisms to restructure stressed schemes and enforce recovery against employers.